The WL HI-200K is used for day-time, twilight & night-time, marking Towers (Telecom, GSM), Smokestacks, Buildings and any other potentially hazardous obstructions to air traffic with a flashing white safety light. 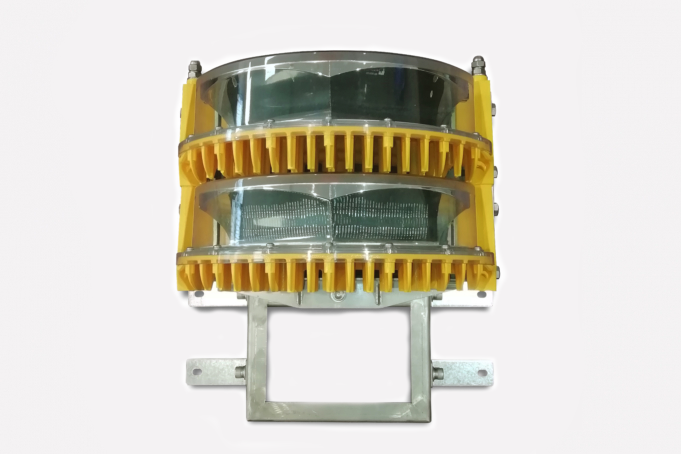 The WL HI-200K series high intensity obstruction light is designed in accordance to the ICAO Annex 14 Volume 1 – 6th Edition July 2013 Chapter 6 Type A/B and FAA AC 150/5345-43F.E.B.#67 Dual type L856/857. The enclosure is made of die casting aluminum with a powder coated finish, light weight, waterproof, shockproof and corrosion resistant. The light source consists of high powered long life LED technology with a UV stabilized polycarbonate lens and reflector-housing which also minimizes light pollution. The ICAO standards state that a high intensity aircraft warning light must operate 24hours. The light intensity must be: during the day-time: 200,000cds, twilight: 20,000cds and night-time: 2,000cds. GPS wireless synchronization between 2 or more Delta lights, RS485 interface Modbus Standard.